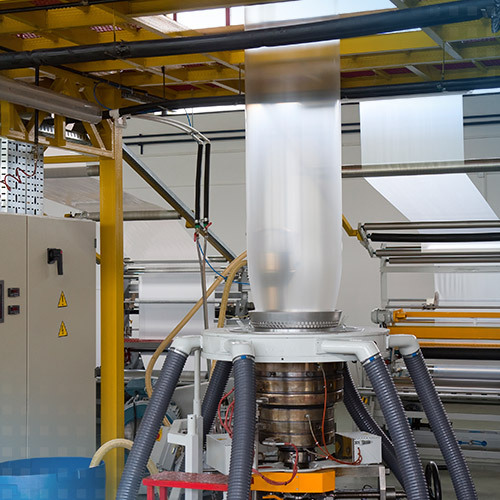 The thickness of blown films is an important aspect in terms of constant quality in blown film production. Partially strong thickness tolerances can occur for the production in doing so. The blown film system from Micro-Epsilon measures the profile of the film with or without contact directly after the extrusion nozzle. Located on a reversing frame, the system continuously traverses the film tube and provides the data to the host system for controlling the extrusion nozzle.